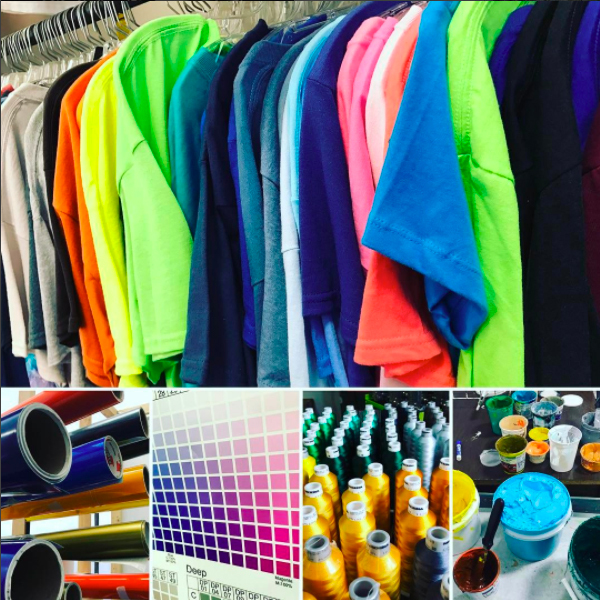 Your local power screen print shop specializing in full color high production runs. We also offer low minimums on small runs. 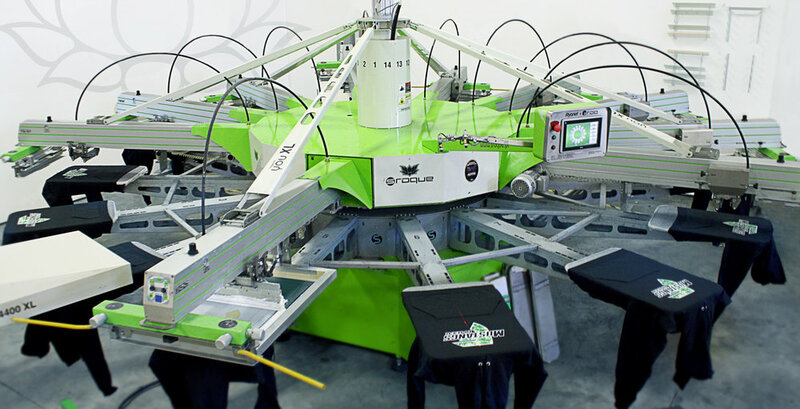 The sRoque (pictured above) is a state of the art automated screen printing press. Our press has a 10 color print capability and prints hundreds of shirts an hour. With this machine no job is too big for us! If you are just a little guy, never fear, we are happy to give you the same personal customer service the big guy gets. Come on by and see the sRoque in action at our Lotus Mountain at - 357 Main St., Suite H & I in the friendly city of Fortuna, Ca.